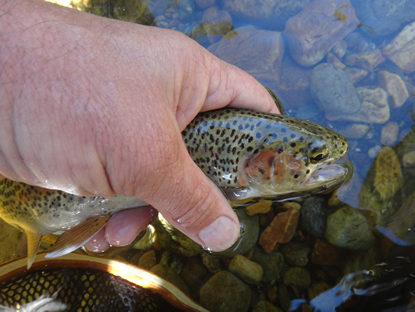 How Small a Trouth Every Day in May Challenge Fish Philosophy. The T shirt or bumper sticker bastardisation of Descartes’s famous philosophy “I think therefore I am” has I am sure been seen by most of us somewhere. The rather flip comment suggesting that without fishing we therefore don’t exist. Of course we would still exist if we stopped fishing or there were no more fish. You would still be able to see yourself in the mirror and would still have legs and arms, fingers and toes so existence in the sense of still being here a living breathing human being. Yes you would still exist, but would it be the same you? I don’t think that I would exist as the same me without going fishing, it is far too intertwined with who I am and what I do, in essence I suppose it defines me. It is my job, I write about it and discuss it, most of my friends come from fishing circles , so without it, much of that would fall away and the “me” which is “me” now, wouldn’t be “me” anymore. In Descartes’s discussion he essentially suggests that if he can create a new reality where nothing actually exists and can then think about the fact that nothing exists then by definition he must at least himself exist. The act of thinking proving that his presence is real. 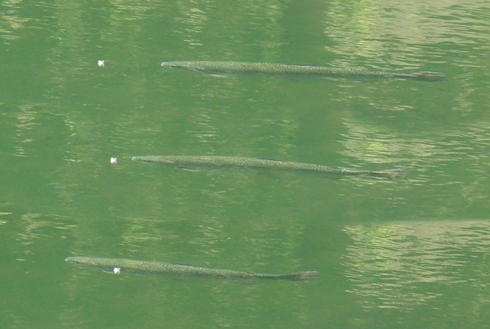 Which leads to an interesting thought, how much of fishing is real, or is it simply an illusion. Much of what we have taken to be true frequently proves to be untrue but at the same time is that material? 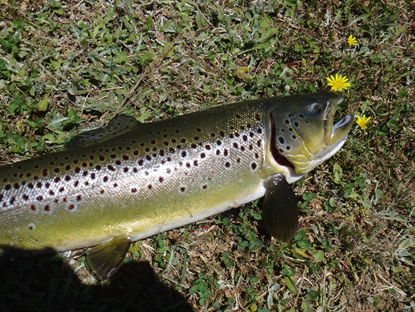 For example I recall years back fishing a glorious trout dam in the cool days of an early winter. The water was chilly and the wind was blowing a gale. The general modus operandi at the time was to fish floating lines from the bank, the wind behind one to keep contact and help detect the subtle takes of the trout in the shallows. But it so happened that my hat blew off and I thought that I should wait until it was halfway across the dam and then commence a walk around the shores to retrieve it. On reaching the far shore my hat was bobbing in the waves, rather serious waves as it turned out, the reach across the dam allowing the wind to generate no small amount of frigid surf. The edges of the dam were becoming muddied as a result of the wave action and it was so windy as to make casting near impossible, which was why we hadn’t fished this shore. Still I was standing there, newly retrieved and soaking hat, wet and chill on my head and I figured that I may as well make a cast or two despite the conditions. To have any hope at all I walked out to a point where the waves were near breaking over the tops of my waders and heaved what line I could manage into the maelstrom of surf. The line stopped in the air and swung back at me, about the best I could manage was to fish along the shore, the flies level with my standing position pretty much fishing just along the shoreline. Watching for takes was very tricky but didn’t the line seem to straighten up for a moment? I struck and was latched onto a very lively rainbow of about four pounds on a corixa pattern of my own design. A good start on the very first cast in the new position. Another cast into the gale and another fish of similar size, then another and another. I think that I caught six fish in almost as many casts and confidence had soared “knowing” that the fish were in the shallows, under the protective cover of the slightly murky water and the spume of the crashing waves. The water was filled with broken weeds and all manner of flotsam as obviously the wind concentrated food in the bay I was fishing. I was quite sure that this was knocking the corixa out of the weeds and making them easy prey for the fish. Now it is unusual for me to do so but on this occasion I killed one of the fish to take home for supper. When I finally arrived home I cleaned the fish and was amazed to find that its stomach was completely filled with tiny green bloodworms of exactly the same hue as the weeds, not a corixa in sight. How on earth the fish could pick out these tiny camouflaged morsels in the soup of that shoreline I have no idea. More to the point, my hypothesis that the fish were feeding on the corixas was quite apparently erroneous, although equally obvious was the fact that despite working on the incorrect premise I had still been successful. Sometimes then one can have the wrong philosophy and still prevail, in fishing perhaps that happens a lot more than we would care to imagine. My primary philosophy when fishing is to practise catch and release. 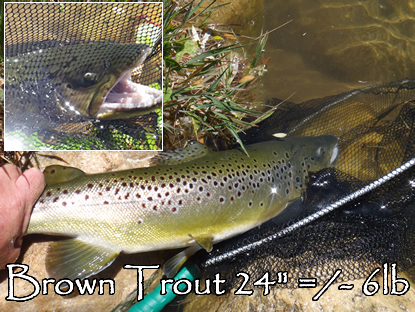 Generally viewed as a good way to be for the benefit of the trout and ultimately for the angler. But the hidden benefit is that if you don’t actually go and kill the fish you don’t know what they were really eating and then can bathe in your own sense of self-importance without risk of being proved a fortunate fool. Of course there are stomach pumps which can equally reveal the truth without the demise of the trout. But I tend to shun those because perhaps the best philosophy when fishing is “what you don’t know can’t hurt you”.